Impromptu Game Testing...Update! Tri Force Heroes! Hi TAY! 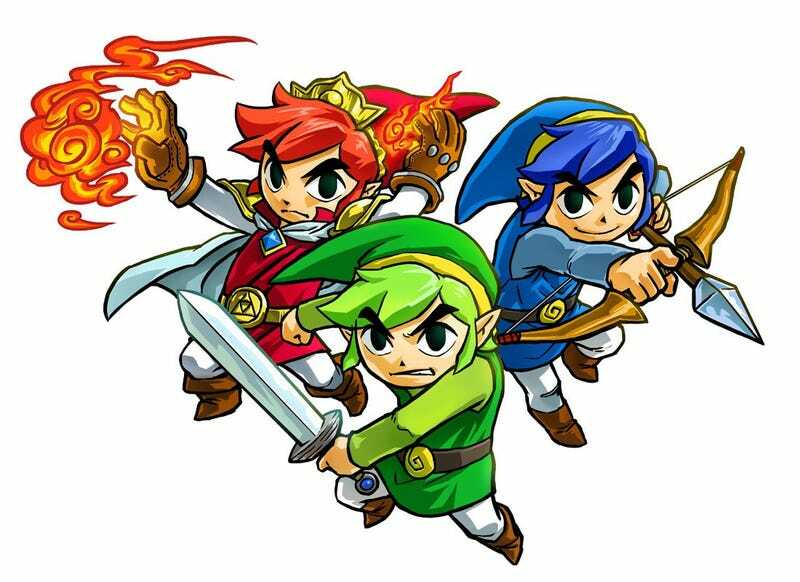 Nintendo will be opening the online floodgates tonight, tomorrow and Sunday for demo co-op tryouts of the upcoming The Legend of Zelda: Tri Force Heroes game. Unfortunately, for the demo, we won’t be able Feel free to use this post to organize parties with your fellow TAY’ers. It was quite fun though... I was inadvertently a False Hero (sorry random team, I failed you guys). If you’ve got extra codes you’d like to share, please feel free to use this post to do so, or to talk about your time with the demo. I’m certain we’ll be able to organize an official TAY game night once the game launches. Please don’t forget to check out our regular Game Night Schedule as well, which may be found right here.